With all of the tornado watches issued today, I didn't get a chance to post this until this evening. 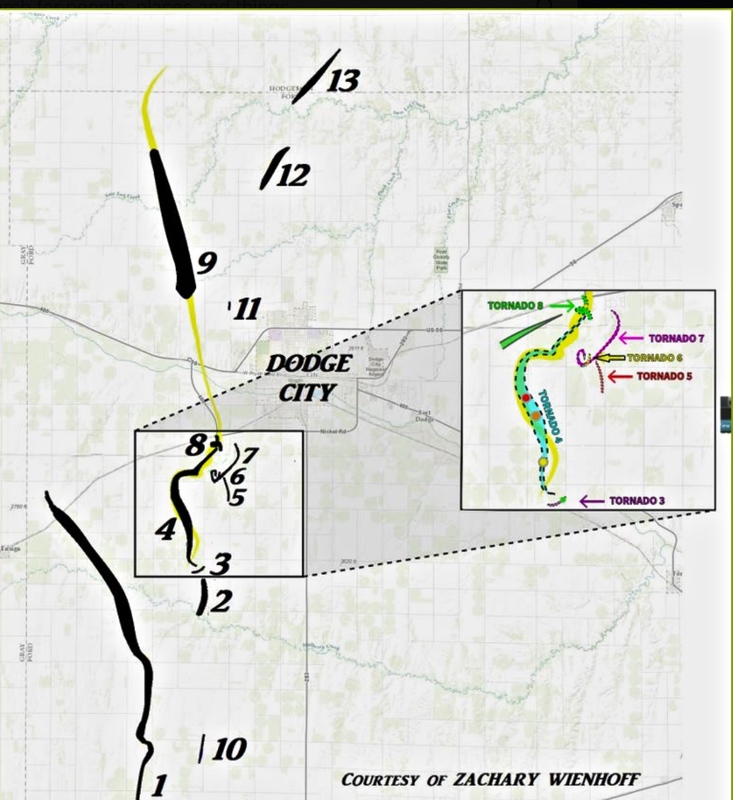 Here is a summary of the tornadoes near Dodge City one year ago today. It was my chase of a lifetime (along with at least 100 other chasers)! And, if you are interested in the meteorology behind all of these storms, here is a great summary. The best thing? 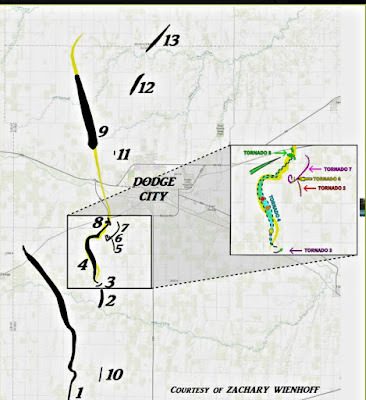 Thirteen tornadoes and very little damage.